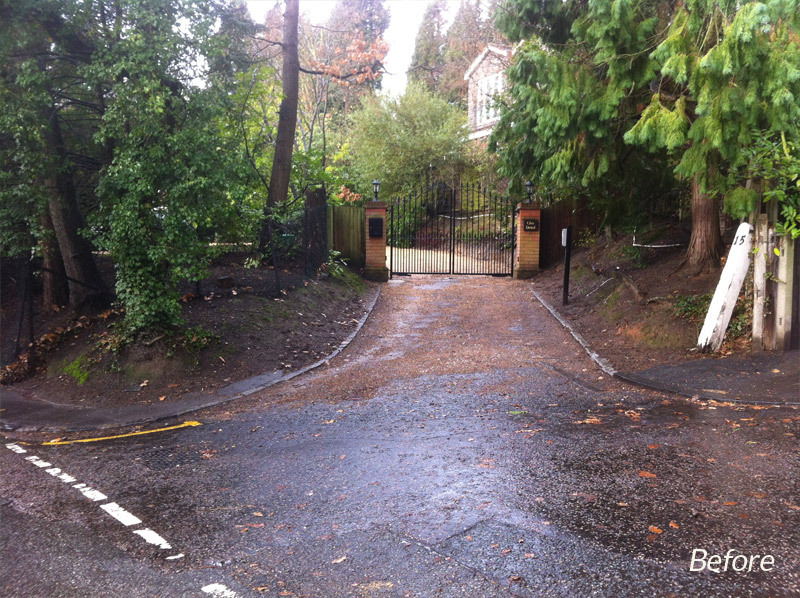 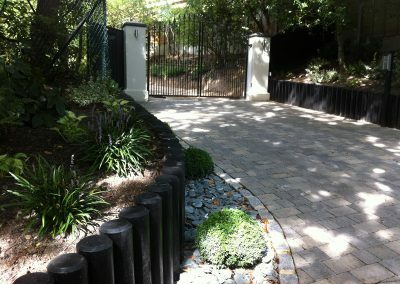 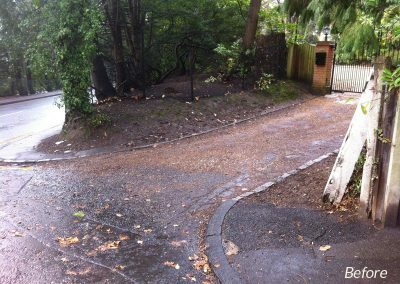 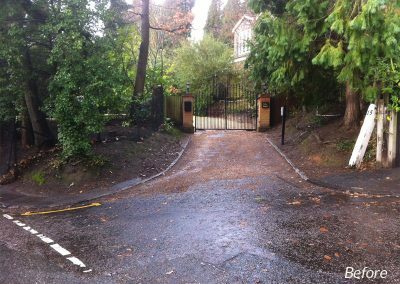 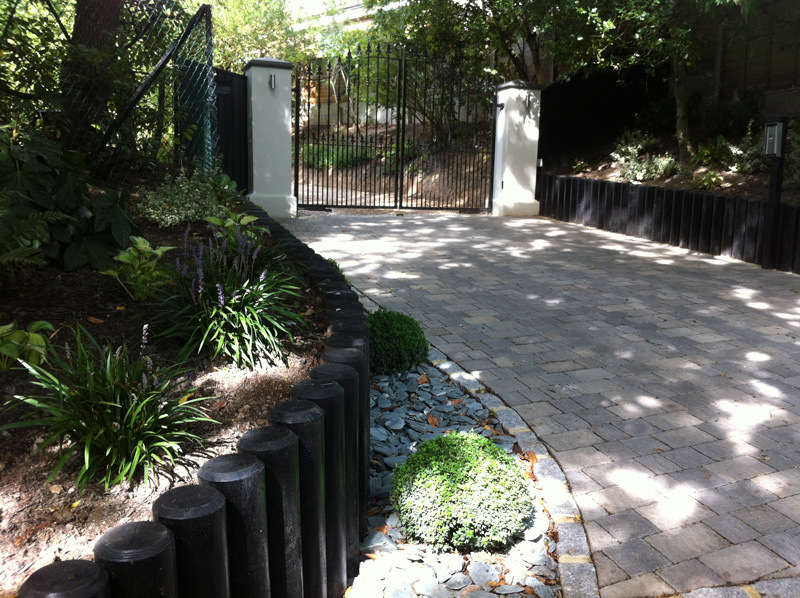 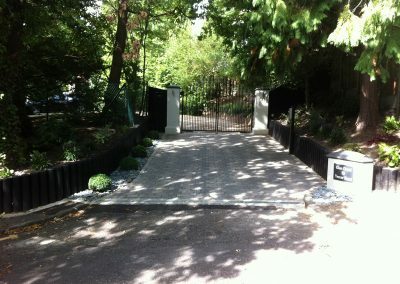 This driveway entrance needed a freshen up so we rendered the existing piers and made sense of the sloping soil areas by constructing milled log retaining walls. 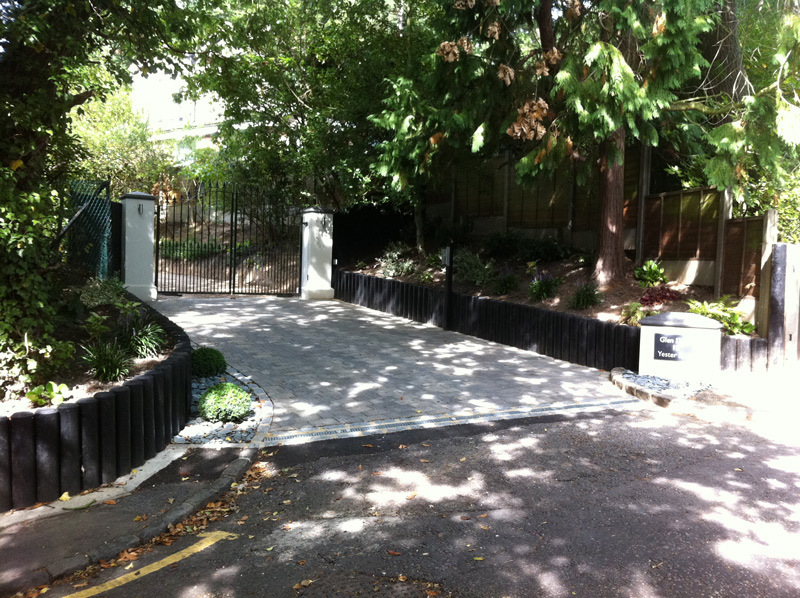 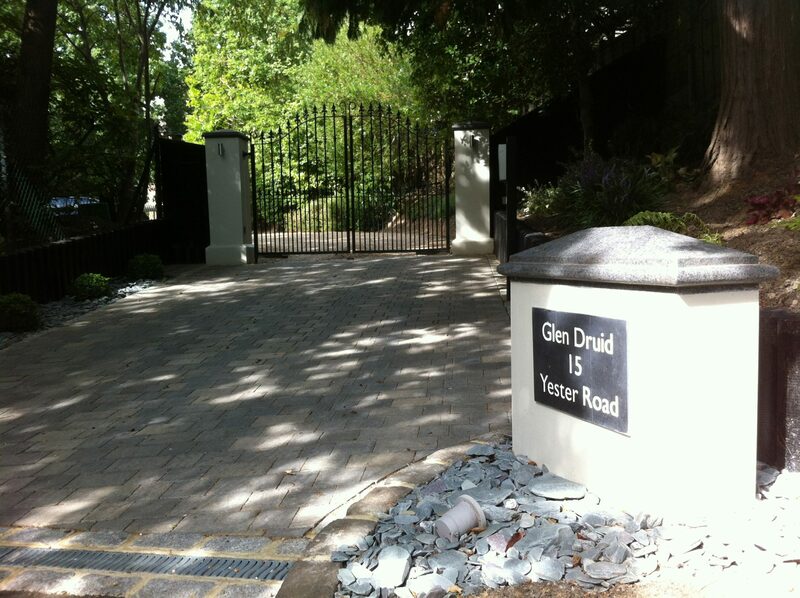 A new block paved approach was laid with Granite sett edging. 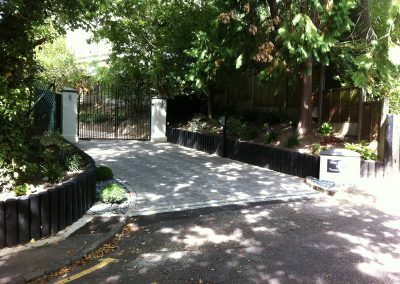 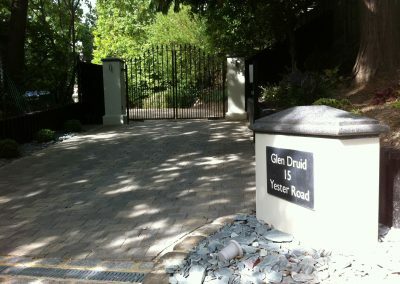 We constructed and rendered a feature wall for the house plaque and capped this off using a bespoke Granite topping stone.